Blusing Beauty has it's 2nd branch located at SM North Edsa The Block. 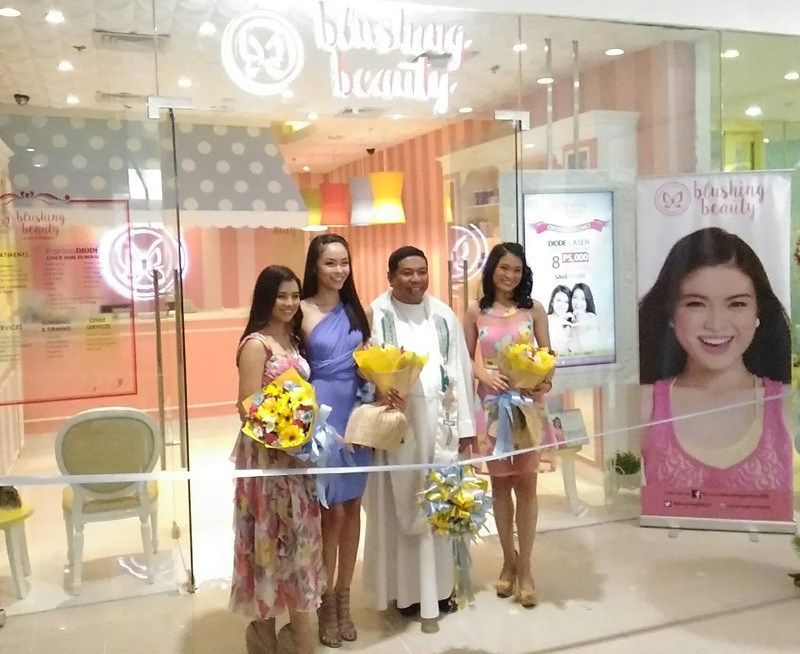 The opening and cutting of the ribbon is very successful and graced with the gorgeous models of Skin Station, Lindsay De Vera, Julian Flores and Julieane Fernandez. Congrats and more power to BLUSING BEAUTY and Skin Station. Please visit their stores if youre in SM North EDSA The Block. People from the south area, you can visit at the City Mall in Imus, Cavite. Blushing Beauty by SkinStation is a skin care clinic that offers luxurious yet affordable services, innovative products, and an “Instagrammable” store professionally designed by Manila’s sought after Interior Design Firm, Heim Interiors. It is a new concept store developed for the young, value-conscious millenials. 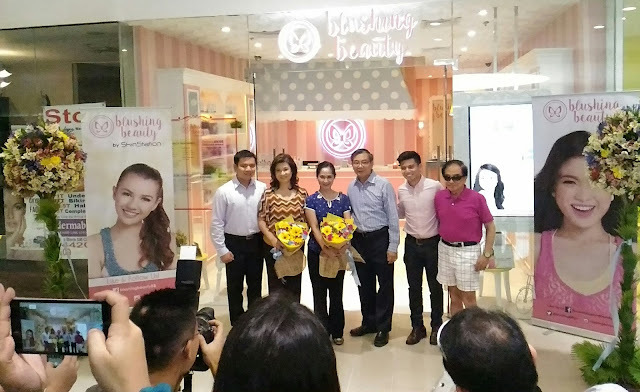 Blushing Beauty is a fitting follow-up to their highly successful SkinStation, now with 29 branches nationwide. The Blushing Beauty product line offers a wide range of fun, trendy, and innovative skin care and cosmetic line engineered with the latest International formulations. They are professionally formulated by multi-awarded chemist, SkinStation and Blushing Beauty founder, Mr. Fred C. Reyes. He received the 2008 Achievement Award and 2011 Outstanding Professional Award in Chemistry. Strengthened by the science of nano-encapsulation to enhance efficacy and optimal absorption, Blushing Beauty products make you selfie-ready all the time. 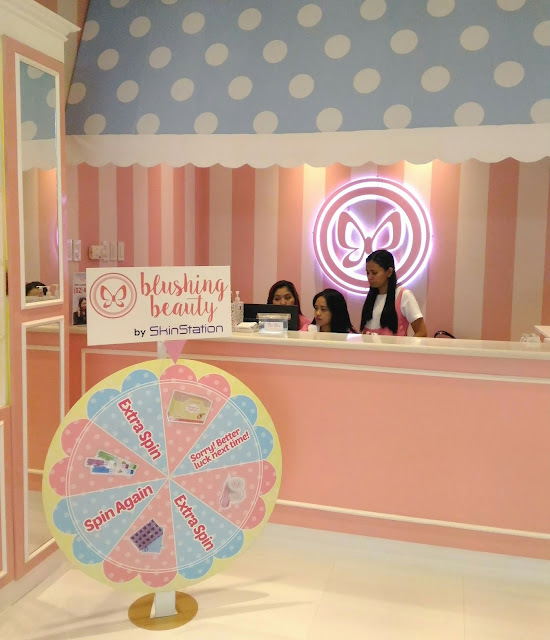 Blushing Beauty products are available at all Blushing Beauty and SkinStation branches nationwide.